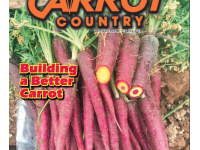 Check out the Spring 2019 edition of Carrot Country magazine online for a deep dive into our research. 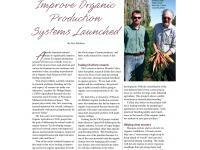 "...CIOA's main goal is to develop orange and novel colored carrots with improved disease and nematode resistance, improved weed competitiveness, and better nutrition and flavor. That's quite the genetic package, but progress toward releasing new varieties has been efficient – and relatively quick – thanks to the project's variety trial network that expands across the U.S."
Read the full article here (begins on page 4). 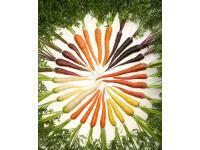 Love carrots like we do here at the CIOA project? Did you know carrots were originally white?! 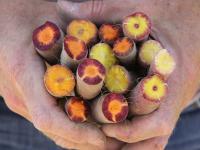 They've come a long way to the colored carrot trials and breeding our research team is working on. Check out this fantastic Gastropodcast episode all about these colorful roots and Dr. Phil Simon's work. WEST LAFAYETTE, Ind. – Nationally renowned experts from the University of Wisconsin-Madison, Organic Seed Alliance, and Purdue University will present a one-day classroom and field-based workshop on organic vegetable seed production. Participants will learn the fundamentals needed to grow organic vegetable seed, including seed biology, harvesting, storage and how to conduct variety trials. Hosted by Purdue Extension, the training will be held on Aug. 22 from 9 a.m. to 3 p.m. at the Daniel Turf Center, 1340 Cherry Lane, and The Student Farm, 1491 Cherry Lane, West Lafayette. 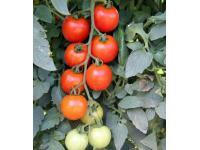 “Participating in varietal development programs and learning how to produce quality seed will ensure organic farmers have access to varieties that are best adapted to their production system, and yield produce with high nutritional quality and flavor,” said Lori Hoagland, associate professor for Purdue Horticulture and Landscape Architecture. A tour of the The Student Farm and taste tests of advanced carrot and tomato varieties will be provided. 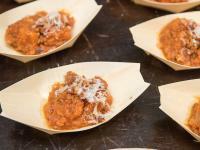 A local chef will identify varieties that shine in the kitchen. The workshop is sponsored by Purdue Horticulture, Carrot Improvement for Organic Agriculture (CIOA) and Tomato Organic Management and Improvement (TOMI). Registration is $15 and includes lunch catered by The Juniper Spoon. To learn more and register online, go to http://tinyurl.com/y7da7dsh. Spring is in full swing and depending on where you live, carrots are back in our market booths. Needless to say, we’ve got carrots on the mind and on the menu so we’re sharing this delicious recipe developed by Chef Karl Holl from Let Um Eat for last autumn’s Variety Showcase in Portland, Oregon. Enjoy and be sure to mark your calendar for October 2, 2017, to join CIOA at this year’s Variety Showcase, an annual interactive mixer hosted by the Culinary Breeding Network to build community and increase collaboration between breeders, farmers, and eaters. Read more and get the recipe here. This past week CIOA's Dr. Phil Simon led a research team to select carrot roots for seed production and breeding at his winter nursery in El Centro, CA (just north of the Mexico border). They selected roots from approximately 1,000 different populations, representing a kaleidoscope of colors and shapes for this season’s breeding efforts. 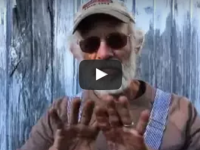 Read about the harvest and view some of the selected roots here. Earlier this month CIOA’s Phil Simon and Laurie McKenzie joined 21 plant breeders, 27 chefs, and over 350 attendees for the annual Variety Showcase in Portland, Oregon. 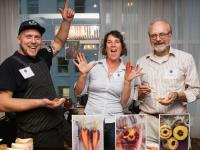 Read (and salivate over) highlights from the event at Seed Broadcast. 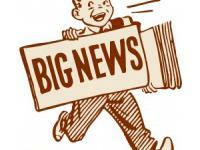 Visit the USDA blog to read about the CIOA project. Please visit Carrot Country to read the article in full.